Awesome is as Awesome Con does! Tax day! 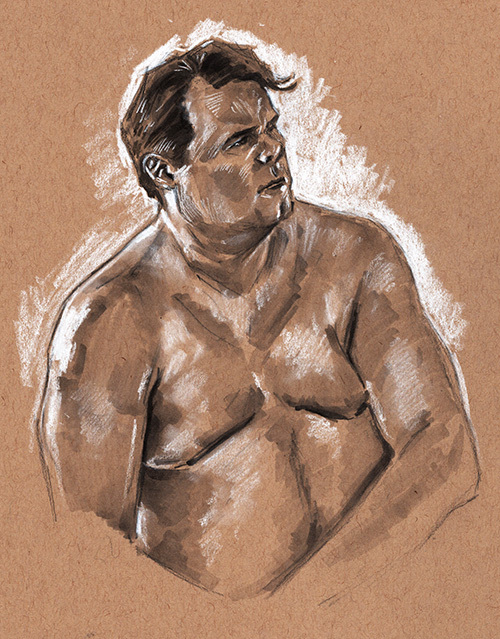 Can I still write off these life drawing sessions? 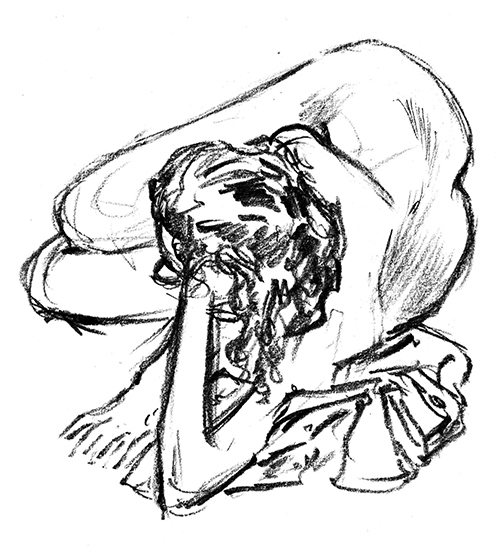 Something classical about these poses that save the drawings… mostly. I gotta give it to a guy who is older than me, and still willing to get up there to hold a pose; well played sir. 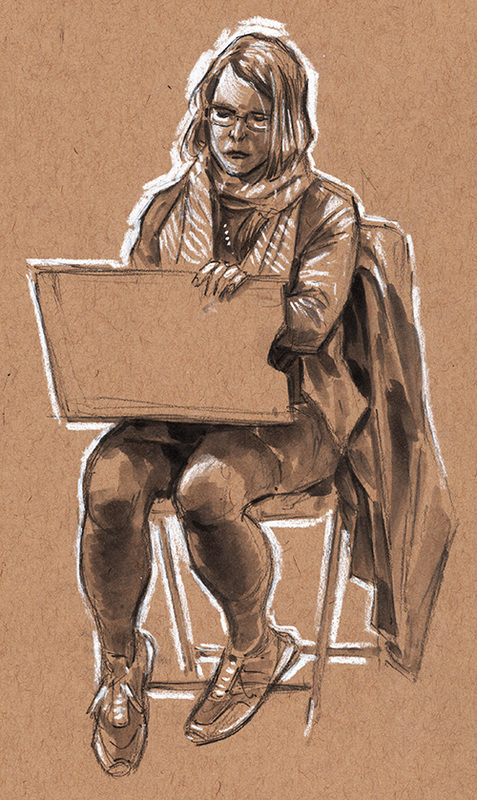 Back to my preference for that blue lead. It just appeals to me, who knows why? 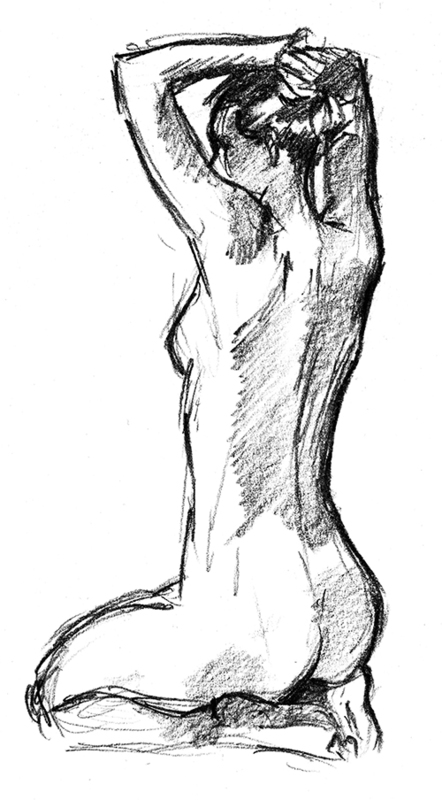 My fave model was back, but this arm drove me nuts, it never did look right. 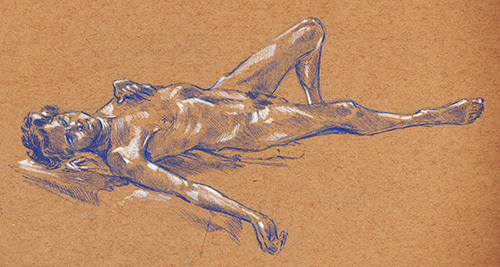 The solution to a repetitive life drawing model? Another graphite sketch, but this was a longer one than the last posts. I think this was a 10 min. Last drawing session of 2018. Here are a couple of warm up sketches.